Chef Gorji » Blog » Arrabiata Diavolo Gives Texas Chili Appetizer a Kick! Arrabiata Diavolo Gives Texas Chili Appetizer a Kick! A Texas Chili Appetizer that will delight your guests. 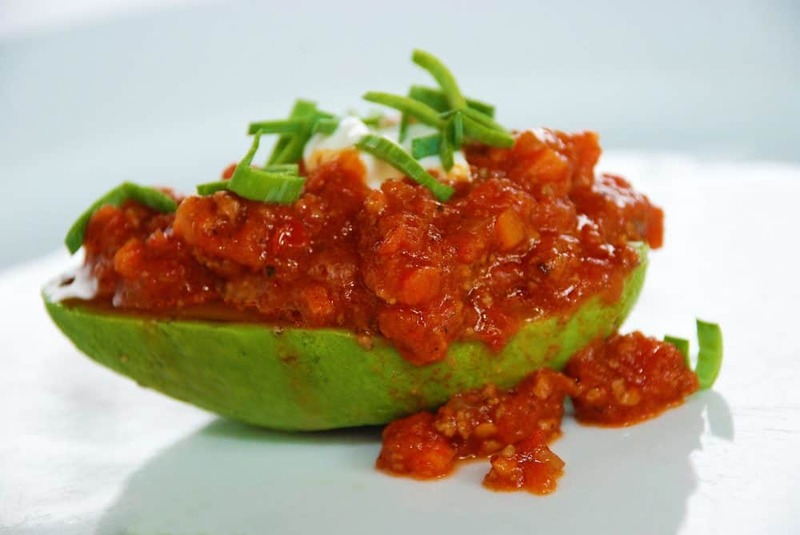 Serve Texas Chili over a grilled chilled avocado and top with a dollop of yogurt and chopped chives. Gorji Gourmet Foods Arrabiata sauce brings a clean tasting zing with a kick, but doesn’t linger. Use Gorji Gourmet Arrabiata Diavolo, the winner of the Golden Chile Award, for the spicy tomato sauce in your bean less chili recipe. The grilled chilled avocado recipe is from Zing! Chef Gorji’s cookbook and has been featured in a cooking class and dinner afterward. Does real Texas chili have beans? No Replies to "Arrabiata Diavolo Gives Texas Chili Appetizer a Kick!"